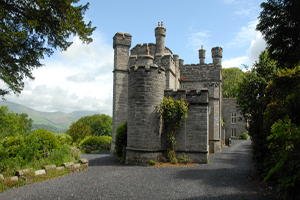 A Grade 2 listed castle with views of the Snowdonia mountains has opened for business as a luxury boutique guesthouse with corporate meeting space. Glandyfi Castle, built in 1810, is located between the market town of Machynlleth and Aberystwyth. The eight-bedroom property can host meetings and functions in its courtyard for up to 45.